Vitamin C is one of the most well-established traditional antioxidants we know of, and its potent health benefits have been clearly demonstrated over time, especially for the prevention and treatment of infectious diseases. A perfect example of the healing power of this antioxidant vitamin is the drbiochamatic case of Allan Smith, who contracted a serious case of swine flu, and was brought back from the brink of death using a combination of IV and oral vitamin C.
In this way, it plays a role in your body’s production of collagen, carnitine (which helps your body turn fat into energy), and catecholamines (hormones made by your adrenal glands). It’s through this antioxidant effect that it’s thought vitamin C may play a role in protecting heart health. One of the most famous forerunners of high dose vitamin C treatment for colds and other disease was Linus Carl Pauling (1901-1994), a physical chemist and peace activist who won two Nobel Prize awards; one in chemistry in 1954, followed by a Nobel Peace Prize in 1962. The New Scientist magazine ranked him as one of the 20 greatest scientists to ever live. He almost won a third Nobel, but Watson and Crick narrowly beat him to the discovery of the structure of DNA. Despite being a well-respected scientist, his views on vitamin C were all firmly rebuffed by the medical community. He detailed his discoveries in a series of books, starting with Vitamin C and the Common Cold in 1970, followed by Vitamin C, the Common Cold and the Flu (1976), Vitamin C and Cancer (1979), and How to Feel Better and Live Longer (1986). Was Pauling Right About Vitamin C After All? While the recommended daily allowance (RDA) for vitamin C had been established at 40 to 60 mg per day — an amount more than sufficient to prevent scurvy — Pauling advocated amounts of 1,000 mg or even higher. Pauling himself is said to have taken 12,000 mg per day. He noted that veterinarians recommended far higher doses of vitamin C for primates than what was recommended for people. So he initially extrapolated the dosages from monkeys, and determined that humans likely need a minimum of six grams per day — 200 times more than the RDA. The video above features the late Pauling and his controversial claims about the curative powers of vitamin C, which included cancer and heart disease — the latter of which he claimed was a form of pre-scurvy. Pauling died of prostate cancer in 1994 at the age of 93. However, interest in vitamin C certainly did not die with him. For example, the video features Dr. Balz Frei, a researcher at Harvard University’s Department of Nutrition. According to Dr. Frei, interest in vitamin C was renewed when it became known that many degenerative diseases involve oxidation, “and it is clear that vitamin C can very effectively prevent many of these oxidation processes, because it is a very strong antioxidant,” he says. A large, decade-long research study led Dr. James Engstrom at the UCLA also found that men who took 800 mg of vitamin C per day — which is more than 10 times the RDA — had less heart disease and lived up to six years longer than those following the conventional guideline of 60 mg/day. Another study5 that included nearly 11,200 elderly people, published in 1996, found that seniors who took high-potency vitamin C and E had an overall reduced mortality rate of 42 percent. Low potency “one-a-day” multiple vitamins had no beneficial effect on mortality. About 40 studies have also shown that people who eat vitamin C-rich diets have a lower incidence of cancer. Five years ago, I interviewed Dr. Ronald Hunninghake about his experience with high-dose vitamin C treatments. He’s an internationally recognized expert on vitamin C who at the time had personally supervised more than 60,000 intravenous (IV) vitamin C administrations. He got his start in this field some 27 years ago when he teamed up with Dr. Hugh Riordan, who conducted research on intravenous (I.V.) vitamin C for cancer patients.6 Dr. Riordan discovered that most cancer patients are deficient in vitamin C, especially those in advanced stages of cancer. “Cancer cells were actively taking up vitamin C in a way that depleted tissue reserves of C. PET scans are commonly ordered by oncologists to evaluate their cancer patients for metastases (cancer spread to other organs). What is actually injected into the patient at the start of the scan is radioactive glucose. Cancer cells… depend upon glucose as their primary source of metabolic fuel… [and] employ transport mechanisms called glucose transporters to actively pull in glucose. In the vast majority of animals, vitamin C is synthesized from glucose in only four metabolic steps. Hence, the molecular shape of vitamin C is remarkably similar to glucose. Cancer cells will actively transport vitamin C into themselves, possibly because they mistake it for glucose. Another plausible explanation is that they are using the vitamin C as an antioxidant. Regardless, the vitamin C accumulates in cancer cells. According to the National Cancer Institute,10 other studies have shown high-dose vitamin C can help slow the growth of prostate, pancreatic, liver, and colon cancer cells. The institute also recognizes human studies showing IV vitamin C can help improve symptoms associated with cancer and cancer treatment, such as fatigue, nausea, vomiting, pain, and loss of appetite. Despite all of these benefits, the US Food and Drug Administration (FDA) has not approved IV high-dose vitamin C for the treatment of cancer or any other disease. The treatment of cancer, neurodegenerative diseases like Alzheimer’s, ALS, and Parkinson, and anti-aging have become one of my new passions. Why? Because they all share the same primary metabolic defect — dysfunctional mitochondria. Dr. Otto Warburg was an M.D., Ph.D. and most experts consider him to be the most brilliant biochemist of the 20th century. He received his Nobel Prize in 1931 for discovering that virtually every cancer cell does not use oxygen to create energy, but it ferments glucose to provide all its energy. Interestingly, this use of glucose may contribute to a relative vitamin C deficiency since it is produced from glucose, and may explain some of its benefits in the treatment of cancer. However I am firmly convinced that vitamin C does not treat the primary defect responsible for most cancers, which is mitochondrial dysfunction. The best way to address this mitochondrial damage that I am aware of is a ketogenic diet. This is achieved typically by a reduced calorie and carbohydrate diet that limits all sugars, grains, and most fruits. I am currently in the process of connecting with the leading experts in the world on this and will greatly expand on this exciting news in the near future. They also pointed out that previous studies have found vitamin C may help regulate blood pressure, and that higher blood levels of vitamin C have been found to reduce stroke risk by more than 40 percent. A 20-year long prospective cohort study12 in Japan found that those with the highest serum levels of vitamin C had a 29 percent lower risk for stroke compared to those with the lowest serum levels. Moreover, people who ate vegetables six to seven days a week had a 54 percent reduced risk of stroke compared to those who only ate vegetables two days or less per week. A common denominator here is the way vitamin C affects your blood vessels. Vitamin C helps dilate blood vessels, and is required for the biosynthesis of collagen, which helps keep your blood vessels strong and intact. Lack of vitamin C can therefore lead to a weakening of your blood vessels, resulting in scurvy symptoms like subcutaneous bleeding, or the lethal hemorrhaging associated with hemorrhagic stroke. What’s the Best Way to Optimize Your Vitamin C? The ideal way to optimize your vitamin C stores is by eating a wide variety of fresh whole organic locally grown foods, primarily vegetables and fruits. A number of people, primarily with the naturopathic perspective, believe that in order to be truly effective, ascorbic acid alone is not enough. They believe it’s the synergistic action of the ascorbic acid in combination with its associated micronutrients, such as bioflavonoids and other components that produce the full range of benefits. Eating a colorful diet (i.e. plenty of vegetables) helps ensure you’re naturally getting the phytonutrient synergism needed. 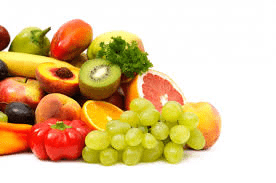 Particularly rich sources of vitamin C include those in the following list. One of the easiest ways to ensure you’re getting enough vegetables in your diet is by juicing them. For more information, please see my juicing page. You can also squeeze some fresh lemon or lime juice into some water for a vitamin C rich beverage. In some cases, it may still be wise to take supplemental vitamin C. The most effective form of oral vitamin C supplementation is liposomal vitamin C, which I was introduced to by Dr. Thomas Levy, who is one of the leaders in this area. Liposomal vitamin C bypasses many of the complications of traditional vitamin C or ascorbic acid (such as gastrointestinal distress), thereby allowing you to achieve far higher intracellular concentrations. When taking an oral vitamin C, be mindful of your dosing frequency. A researcher with a Ph.D. in medical biophysics, Steve Hickey, wrote the book “Ascorbate“, which shows that if you take vitamin C frequently throughout the day, you can achieve much higher plasma levels. So even though your kidneys will tend to rapidly excrete the vitamin C, by taking it every hour or two, you can maintain a much higher plasma level than if you take one mega-dose all at once (unless you’re taking an extended release form of vitamin C). As noted by the Linus Pauling Institute,15 experiments have demonstrated that plasma vitamin C concentration is controlled by three primary mechanisms: intestinal absorption, tissue transport, and renal reabsorption. You can expect a significant rise in plasma vitamin C concentration at doses between 30 and 100 mg/day. At 200 to 400 mg/day, healthy young adults reach a steady-state concentration of 60 to 80 micromoles/L, and ingesting doses of 200 mg at a time has been shown to maximize absorption efficiency. According to Dr. Andrew Saul, editor of the Orthomolecular Medicine News Service, if everyone were to take 500 mg of vitamin C per day — the dose typically required to reach a healthy level of 80 µmol/L — an estimated 216,000 lives could be spared each year. This entry was posted in Alternative Medicine, Home Remedies Series, Introducing, Lifestyle Health, Longevity, Medical Studies, Tele-Medicine, Telemedicine Reporter, Vitamins - Supplements and tagged About Vitamin C’s, After All?, biochemist and peace activist, curative powers, Cytotoxic to Cancer Cells, Dr. Linus Pauling, E-Patient Health Care, high dose vitamin C, ketogenic diet, National Telemedicine Foundation, NTF, powerful antioxidant, swine flu, telemedicine, treatment for disease prevention, two-time Nobel Laureate, Was Linus Pauling Right by Admin. Bookmark the permalink.